This card was totally inspired by Jo whose style I adore and whose talent I covet. 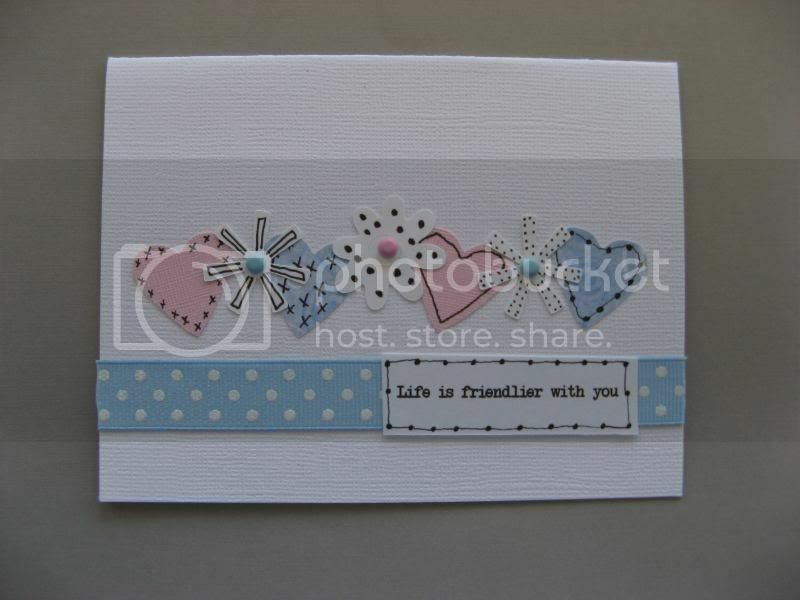 Fabulous card and orgeous colours! Did you ‘doodle’ on the hearts & flowers? I mean Gorgeous, of course !!! This card is just fantastic. Lovely fresh design, great soft colours.PERFECT!!! Your card is so pretty. Love the colours. This is just sooooo gorgeous. I would love to be able to make cards like this. Great stuff – lots of white space! I love cards that dare to have lots of ‘background’ and pull it off with style. Ooh, a delicious looking card – love it. What an outstanding looking card! Love it!